Preheat oven to 400 degrees. 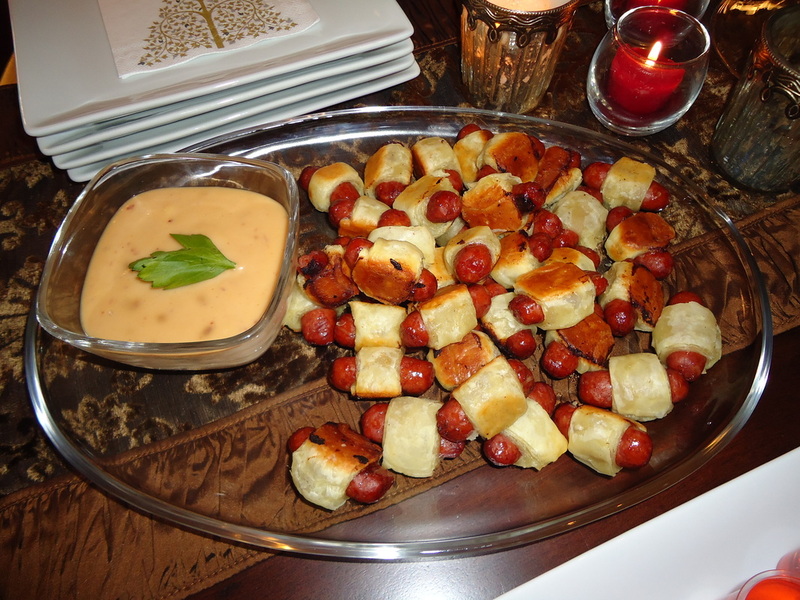 Cut puff pastry into thin strips, roll cocktail sausage with strip of puff pastry placed in the center of each sausage and trim to fit. Place sausages on baking sheet lined with parchment paper and bake until golden brown.